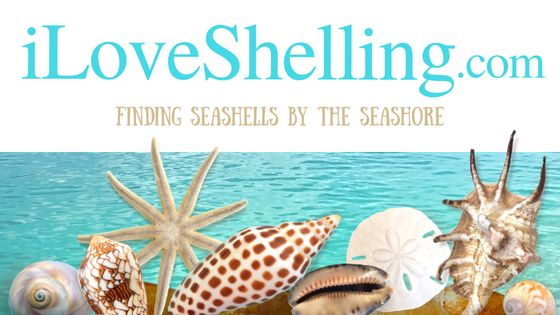 I couldn’t be happier to have another Shelling Sister that just moved to Sanibel! I feel like I’ve found my long lost Soul Sister… Susan. Of course she wanted to get the whole shelling experience on the Out Islands of Sanibel…. so before I knew it, she hired Capt. Brian for a shelling trip and she invited me to go along. We left the dock at 8 am but unfortunately the tide was too high to find good shells at that time so Capt Brian took us about an hour north to the beautiful town of Boca Grande on Gasparilla Island to show Susan a few landmarks by golf cart. Then we hit the beach! Susan found a few FOSSILS like SHARK’S TEETH, fragments of STINGRAY BARBS and BONES. Along one of the beach paths we found a NICKERBEAN VINE with the prickly sea pods that host SEA BEANS which wash up on the beaches at times. These local gray drift seeds are called SEA PEARLS. So… now we know where they come from! But Susan found the grandpappy WHITE MELAMPUS weighing in at about 1 and 1/2 inches. UPDATE 6-21-12 – Susan H commented on Soul Sister Susan’s WHITE MELAMPUS saying “it looks as if Susan found a World Record Size (WRS) one. I’m serious, the largest size listed on Malacolog is 27 mm, which is just about an inch“. So I got serious and dug through drawers of Clark’s dad old tools he inherited and found some very cool old calipers. Susan brought her shell over and we measured…. Her WHITE MELAMPUS measured in at 30 mm. A World Record Size shell!! Thank you Susan H for giving us a heads up on this exciting news! I found a bivalve shell (it has a small hole in the top but it’s still pretty) that I didn’t recognize so after looking through all of my books… it looks like it’s a JUVENILE SOUTHERN QUAHOG. It has thin raised ridges that seem too delicate to be called a QUAHOG but I’m sure that’s what it is. When we got back to Captiva Cruises, the MANATEES were waiting for us! We couldn’t have asked for a prettier day so thank you sooo much Soul Sister Susan for letting me tag along and to Captain Brian for guiding our gorgeous day. WOW, What a great day! I would love to spend a day with you guys and doing exactly this!! Thank you for sharing! Boca Grande is so much fun to explore & who better to give you the tour than the good Cap’n. Oh Pam, what a lovely recollection of our day with Captain Brian! I just loved exploring the islands with both of you. As for Captain Brian- his expertise and love of nature made the charter such a pleasure, and a great day of learning. Thank you for your dedication to your blog. Not only have I learned a ton about shells and Malacology, I have learned so much about the flora and fauna of Sanibel. I also want to thank you for creating that wonderful ‘plug’ on your blog for Clark. When we decided to move to Sanibel I thought of that little ad. He did indeed find our beautiful home for us! His professionalism, knowledge and kindness made our move across the country a wonderful and stress free experience. Your blog inspires me every time I read it! Thanks Susan & Pam for sharing your day with us ! Love the shells , fossils & ” burn beans ” ! But I think what I love the most is the color of the ocean … beautiful ! Only 26 more days & we will get to spend a week in paradise !!!! Pam , hope we get to see you then , I have a few ” goodies ” for you !! Tee Hee ! It was also nice to see something of Boca Grande. The shelling master Colin Redfern, who wrote the amazing book “Bahamian Seashells”, lives there. Your close-up shot of the sweet manatee? Awww! What cuties they are. Any day on the water with Capt. Brian is sure to be a good day. The trip to Boca Grande looked nice. LOVE the sharks teeth! OK Pam. Let me know. 31 mm is 1.2 inches, and that would still be a World Record. If you want an inexpensive plastic caliper in mm and inches, here’s a link to a real deal: a small orange one for half price, 79 cents! (No turquoise available). It only measures things up to 3.25 inches in length, but for most small and medium-sized shells it would be fine. Aw, I love the sweet pic of the manatee snout. Great shells too, btw. What a great day!! I can’t wait for October to roll around!!! Leaving for the Oregon coast on Saturday but all I can think about is my Sanibel trip in October LOL Sure hope I get excited about Oregon when I get there,…tehee. Nice collection from Boca…I was there several years ago for a wedding. It is a beautiful Island. While there my husband found a Junonia (we had no idea of what a find he had… we were new at shelling).I found a Lions paw and lots of sanddollars. Did you go down Banyon street. It is very cool with all of the Banyon trees!!! Every time I read these posts about new visitors/residents learning about the wonderful and diverse flora and fauna of Florida, it makes my heart swell. So may people think of Florida as just Disney World when, really, it is such a gorgeous place to live. Welcome to Florida, shelling sista Susan. Hi Libby, thanks for your id suggestion! The imperial venus is much thicker and almost an inverted version of this juvie southern quahog. On my shell, it looks almost like someone glued tiny thin strips of ribbon along the exterior of the shell so they give it a texture. I’ve been to Pawley’s Island only once (years and years ago) and I loved it! I also have tried to find out what shell the little bivalve is thought the same. I need a book for juvenile shells.I live way up in Ontario and miss Sanibel so much no shelling here, but we do have beach glass. We just recently found out about the Pawley’s Island shell in May when we went and were shown one by some avid shellers. I’ve never seen anything like it! So excited to hear of fellow shellers who’ve been! Hello fellow Ontario shello – err, I mean, sheller! I used to visit the small beaches in Kingston to pick some up! Was closest I could come to shelling in summer! I know this is an old post but maybe you can help me anyway. My sisters (and their kids ages 8&9) and mother and I go to Sanibel every year in February. We check out your blog to get pointers while we’re there. This year, my sister’s friend raved about Gasparilla state park and she wants to go. I am not sure it’s worth a two hour drive with 7 people in a minivan. I’m interested in any insights. We’re only here for 8 days including travel days.